The floristic composition of the seasonally flooded and peat swamp forests of the Peruvian Amazon is poorly known in comparison to many other vegetation types in the region. But this lack of knowledge is not really due to a lack of fieldwork – there have been many environmental impact assessments related to the oil industry that incorporate floristic work as well as assorted inventories by different organisations. The problem is that these data remain hidden from public view and therefore knowledge does not accumulate and advance. 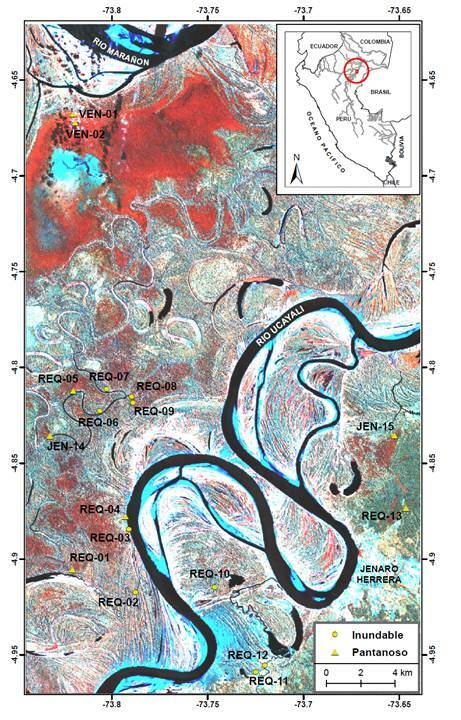 This is the reason that this new publication by Euridice Honorio and colleagues at the Instituto de Investigaciones de la Amazonia Peruana is important: it provides open-access, baseline data on the structure and composition of Peruvian wetland forests. The availability of this information will help us to learn more about spatial variation in the composition of these ecosystems, as well as evaluate how they change over time.